Dr Niraj is an accomplished and trained Orthopedic & Joint Replacement surgeon. He specializes in minimally invasive and computer assisted knee and hip Replacement surgery. He did adult reconstruction felllowship at Tan Tock Seng hospital in Singapore. Thereafter he worked in Singapore at Changi general hospital in joint replacement and trauma divsion of orthopedic department for 3 years. He was felicitated with best doctors award at Changi General Hospital in 2014. He has vast experience in managing orthopaedic trauma involving pelvi-acetabulum fractures, polytrauma, open fractures, periprosthetic fractures and osteoporotic fractures. He has expertise in minimally invasive plate osteosynthesis for periarticular fractures and Ilizharow method used for infected non union and limb lengthening cases. 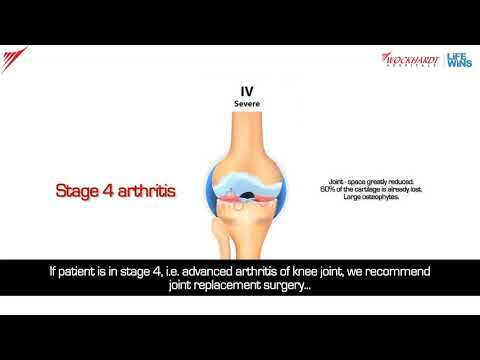 Currently Dr. Niraj Kasat is working as chief Joint Replacement Surgeon at Wockhardt Hospitals- Mira Road. Before joining Wockhardt Hospitals, Dr. Niraj has been associated with Changi General Hospital- Singapore, Bharatratna Dr. Babasaheb Ambedkar Central Railway Hospital, Mumbai and Bandra Bhabha Municipal Corporation Hospital. I can walk again pain free. Thanks to Wockhardt Hospital, Mira Road and Dr Niraj Kasat. "I am Miriam Ndlouvu , 68 years old from Zimbabwe. I was admitted in Wockhardt Hospital, Mira Road for bilateral knee replacement surgery. My doctor who attended to me was Dr Niraj Kasat. I was suffering from knee pain in both my knees, deformity and was not able to do my regular activities. In Zimbabwe, I was given pain medication and I used braces as support. But my condition worsened. The cost of surgery elsewhere in very expensive. We were suggested Wockhardt hospital through a facilitator who managed all the procedures for coming to India. Once I was admitted here the staff and the doctor took very good care of me. The housekeeping, nursing staff and ICU treatment was very good. I went through both surgeries for my knee. I can walk pain free no even without a stick. I went through physiotherapy a t the hospital that improved my condition and helped me walk again. We took the best diction to come to Wockhardt hospital and I truly believe it is best hospital for knee replacement surgery." I am grateful to Wockhardt hospital for treating my arthritis and facture. I can finally have a pain free and independent life. "I was diagnosed with long standing osteoarthritis and deformity for 10 years and later developed a fracture in my leg. This made be bed ridden for 2 years and life was difficult. I was dependant on others for assistance. I was brought to Wockhardt hospital, Mira road. Under Dr Niraj Kasat who is brilliant joint replacement surgeon I was successfully treated. My surgery aimed to reduce my arthritis and my fracture. I went under modular knee replacement surgery and extensive physiotherapy thereafter. Dr Kasat was patient and understood my condition very well. The nursing staff was corporative and efficient. Physiotherapy really improved my situation. Today I can walk pain free and I am independent with managing my activities." "My name is Susan Hasen, I am from Zimbabwe. I was admitted to Wockhardt Hospital, Mira Road for bilateral hip replacement surgery. I had been suffering from hip pain for 3 years consecutively, so much so that I was not able to walk even 5 meters. Every day routine activities were becoming difficult for me. I was not even able to sit or stand. At Wockhardt Hospital Dr Niraj Kasat, an orthopaedic surgeon viewed all my reports and I was asked to carry out certain investigations. Dr Niraj explained how important it was for me to undergo a surgery. He thoroughly explained the procedure and all the post-operative care that would be required. My surgery was successful. Dr Niraj was very confident that I would be walking soon with any support, pain free. Initially I was given a frame and then a stick. I could even climb the stairs up and down without any discomfort. After a few days I was off the pain killers and I was able to walk with minimal support. I would like to thank Dr Niraj, Wockhardt Hospital staff and management for all the wonderful care they provided. Dr Niraj is a fabulous doctor and gives a lot of support and confidence." I can walk bend my knee and walk again, climb stairs and walk independently today thanks to Dr Niraj. I have regained my social life and the zest to experience all new possibilities now. "My name is Sonya Azeez, I am from Iraq. I am 19 years old. Three years back In Iraq I had met with a road traffic accident. I fractured my femur and tibia (leg bones). I got operated in my home town and recovered. Later I developed stiffness in my leg and I was not able to bend it. We were advised to come to Wockhardt Hospital, Mira Road. Dr Niraj Kasat carried out a successful surgery on my leg. The name of the procedure he performed was Thompsons Quadriceplasty. I would like to express my gratitude towards all the doctors, staff at the hospital for such compassionate care. The reception staffs were so welcoming and kind. I would also like to mention that the physiotherapy sessions at the hospital assisted in hastening my progress and made me walk again." "My name is Aissa Seyni, from Nigeria. I was suffering from knee pain. In Tunisia, I consulted many doctors and they advised me pain killers. My condition did not improve. My pain started radiating to my leg and I could not stand for long periods of time. We were recommended to come to India for treatment. When we arrived at Wockhardt Hospital, we immediately felt like home and received such a warm welcome form the staff. Dr Niraj Kasat attended to my case and explained all the surgery details so clearly. After my surgery I started walking without any pain. I am thankful to the doctors, nurses and all the staff for providing such excellent medical treatment. The physiotherapy service at the hospital is commendable and really helped me to get better soon. God bless Wockhardt Hospital." "My name is Khalid; I was a soldier in the Sudan army. I underwent a traumatic accident and hurt my hand. In my hometown, I underwent multiple surgeries to restore its function. However none of my surgeries were successful. I was advised to come to India and was recommended Wockhardt Hospital, Mira Road. Through the international patient cell I was referred to Dr Niraj Kasat at Wockhardt hospital. Dr Kasat is a very experienced orthopaedic and reconstructive surgeon and also specialises in trauma surgery. He examined my case and explained in great detail all the pros and cons of undergoing surgery. I underwent a successful surgery which encompassed an internal fixation, flap surgery with bone grafting. After the surgery I can actually feel the difference in movement in my hand. At least some of the function is restored and I have full faith in Dr Kasat’s treatment at Wockhardt hospital, Mira Road. All the nursing staff and management in the hospital were very efficient, supportive and hospitable, right from the time of arrival at the hospital to my surgery all procedures were taken care off hassle free. I am very grateful to the management and all the doctors at the hospital and will definitely recommend it to friends and family in Sudan and Middle East. It is one of the best and preferred hospitals in India for specialised treatment. " Table Instructor: Masters Hip Course, Mumbai 2010. MH-PGCET: Stood 25th in Maharashtra Post Graduation common entrance test.